Shouldn’t we know more about the journals we submit to? When starting out in academia, I found it quite difficult to judge journals: who reads which journals, what kinds of research is appreciated by which journals, etc. Most journals advertise their impact factors, but that’s probably not the most important information. 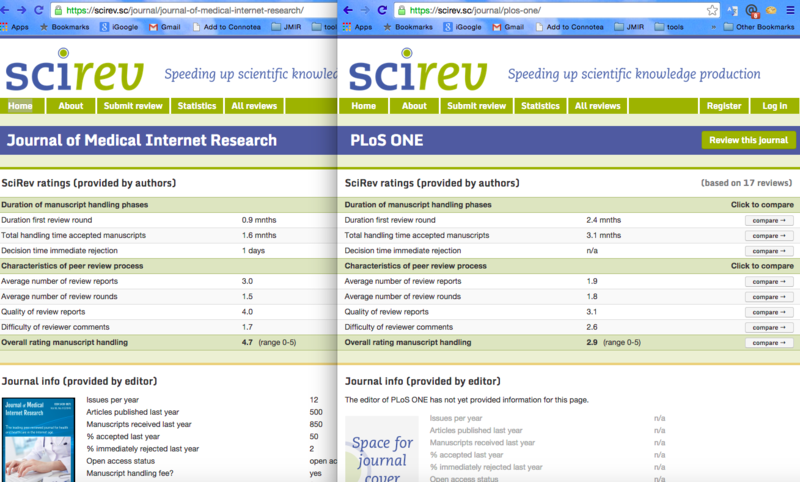 SciRev is probably the most useful service out there for this (beyond senior colleagues), giving information on the time journals take to make a decision (which of course greatly depends on the reviewers, but also what they let the reviewers get away with), the number of reviewer reports, and some subjective quality score. Some reviews justify their score in a couple of words. What would be even better is if SciRev made its non-profit objectives clearer (it’s run by the SciRev Foundation), user-contributed information on the journals, and perhaps a forum to discuss the scope of journals. Submitting reviews is very easy, by the way! Next > Education as a Career?